A recent CSN concert sent me and about a thousand others swinging and swaying in the aisles, and remembering past decades with a fond affection I normally reserve only for my first book of fairy tales, my old rollerskate key, and a copper enamel ring I made when I was six. But halfway through "Wooden Ships" and "Almost Cut My Hair," I realized that imbibed in the music and the "presentation," there was a whole lot of branding and marketing going on.Who knew there was so much to be learned from a concert? The musicians clearly knew that those who had gone to the trouble to pay money to buy tickets, had a good idea what they wanted to hear. Aside from a few new songs, the band mostly played the classics and old favorites, such as "Teach Your Children" and "Our House." And in doing so, they earned standing ovations throughout the night. Don't assume people know who you are in your business, no matter how well established you are. 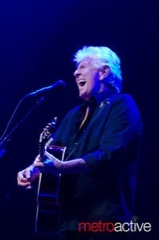 I noticed Graham Nash took many opportunities to introduce old timers like David Crosby and Stephen Stills, as well as new band members, because the group realized that they are continually marketing to new audiences. series to connect the sections, including a section in Spanish. How many songs of that generation, or even now, feature this kind of intricate structure...which by the way may seem simple at first glance, as listeners such as myself get lost in the cycles of: Do do do do do, do do do do do do. I read up later after the concert, and learned that the group was organized so quickly that they hadn't even established their name when their first record cover was photographed. That is why in the photo below, they are theoretically pictured "out of order." If potential customers sense that you are uncomfortable or awkward in your business, they won't gravitate to you. I noticed that the group had such smooth transitions between songs and moods, that they indeed could have been 4--or rather 3-- for each other. They also had a cozy rug spread out on stage, which I noticed from photos going back through the decades, and apparently Graham Nash performs barefoot! Note: you may have to fake it till you make it --apparently the band was so new at Woodstock that they had hardly played together when they delivered those iconic performances at dawn that weekend. 6. Tell A Good Story -- Pretty Quick. 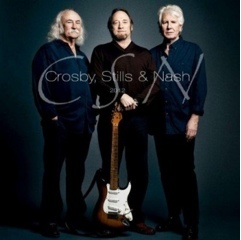 It didn't take long for Nash to introduce Stills' infamous What's That Sound, and in just a few seconds, he had me at "Stephen..." Stephen Stills, he said, was on Sunset Strip one day, and this song is about what he saw." The rest, of course, is history. It didn't take a 50-page report to set the stage for what would become the song of the era. 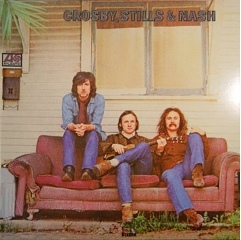 One of the hallmarks of CSN is their famous harmonies, and it fact this feature was what set them apart as a group from the start. Even after 40 years, the integration of their sound and their tightly woven harmonies was as pure as ever. Your business needs to synchronize with all its moving parts, even if you are a solo proprietor, or if you have a large team. If one person is off key or misses their timing, it throws the team off, and everyone notices. "We're old, so we're going to take a break," Nash said, about halfway through the 3 hour concert. 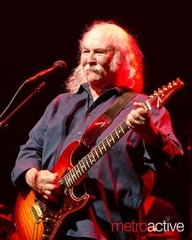 "When someone says "David, I love you, it reminds me of being in prison," David Crosby joked toward the end. The band members were not afraid to be themselves, and did not hide from their collective pasts. Indeed, their past lives and loves and turbulence, much like the 60's themselves, was what made them then, and what makes them now. So, what do you think of these marketing takeaways for your business? What lessons do you learn from the music you love?